The CW has officially released the poster for "Elseworlds," December's three-show Arrowverse crossover that will see Superman, Lois Lane, and Batwoman come to meet with the stars of Arrow, The Flash, and Supergirl. Little is known in the way of plot details about "Elseworlds" yet, other than the fact that it will bring Green Arrow, The Flash, and Supergirl to Gotham City where they will meet (among others) an Arkham Asylum scientist and Nora Fries, the wife of Batman villain Mr. Freeze. With "Elseworlds" shooting now, both official and unoffical photos from the set have been emerging, giving fans first look at things like Tyler Hoechlin wearing a black-and-silver Superman costume. Bringing together heroes from throughout the multiverse is nothing new for the now-annual Arrowverse crossover, but "Elseworlds" looks like it might be something else entirely. Named for a DC imprint that took familiar characters and put them in unfamiliar situations, Elseworlds stories in the comics were non-continuity tales that got to explore ideas like what would happen if Bruce Wayne got a Green Lantern ring or if Superman had come to Earth during the Dark Ages. A popular Elseworlds story, Superman: Red Son, is providing inspiration for a major storyline that will run through the Supergirl season this year. 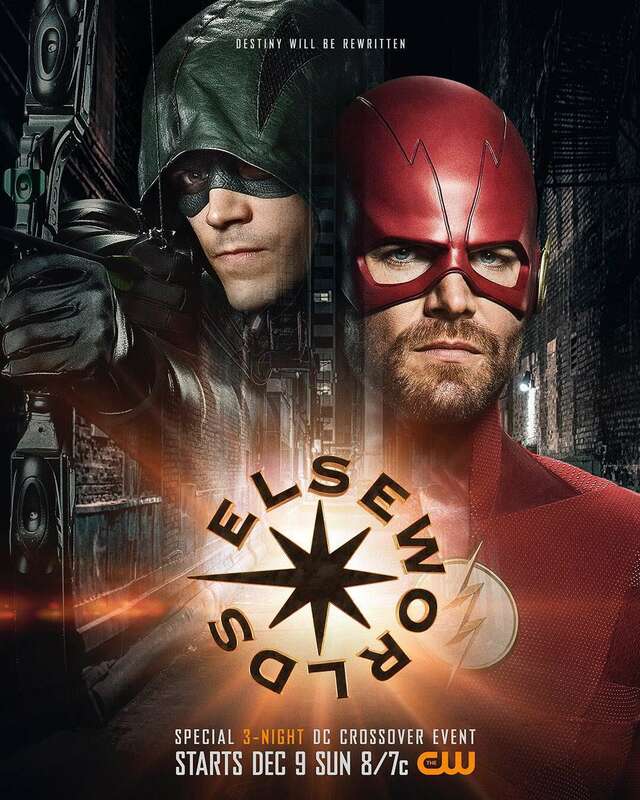 At first, it seemed likely that "Elseworlds" would just be a fun name for comic book fans, and an allusion to the fact that the heroes were coming from various Earths around the multiverse for the story. With set photos revealing new costumes for multiple characters, though, fan theories have started to drift in more fantastical directions, guessing that "Elseworlds" might actually be closer to what it sounds like on its face: an alternate-universe story, or at least one that skips through The CW's multiverse and visits some unexplored corners. Ruby Rose will debut as Kate Kane/Batwoman in the "Elseworlds" crossover, with an eye toward developing a spinoff series starring the actress, best known for her work in Orange is the New Black and John Wick Chapter 2.